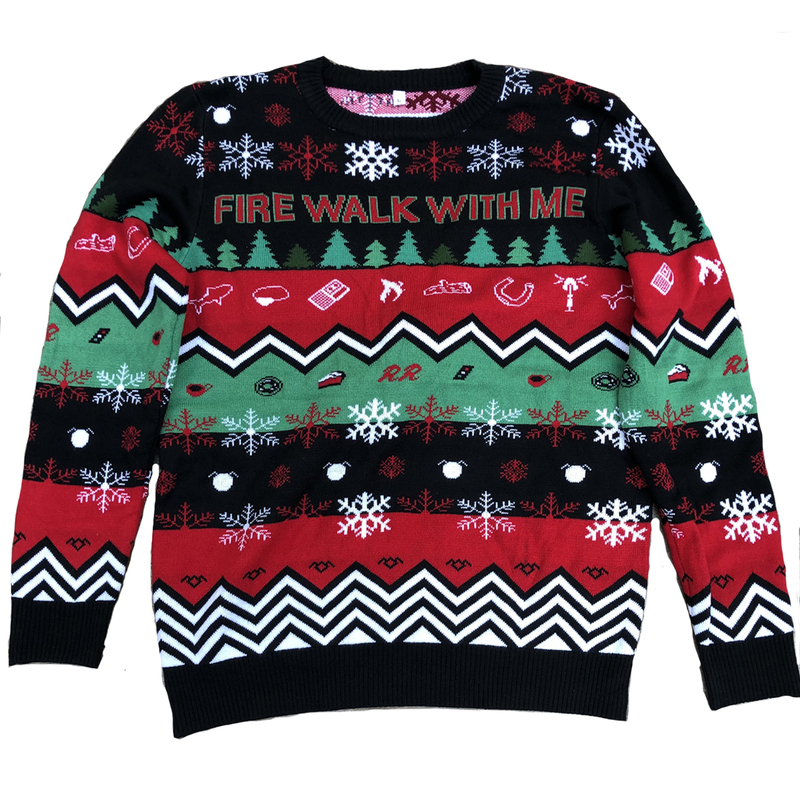 Get ready for the holiday season with the Twin Peaks Fire Walk With Me Ugly Sweater. This cozy "ugly" sweater is perfect to wear at your office parties, family parties, or hey, just wear it around your house; no one's judging. Featuring classic Twin Peaks icons, this sweater is great for any fan of the show. Great quality. Super creative and a great representation of the iconic series. Fits true to size. Definitely recommend. This acrylic sweater is well-made and comfortable, and the design is terrific. 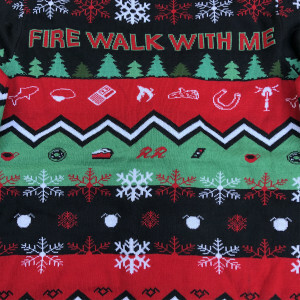 The "Fire Walk With me" slogan is a bit wide for my chest, but all the little icons that appear are well-selected and cover all the Twin Peak seasons including the Return and of course 1, 2 and FWWM. 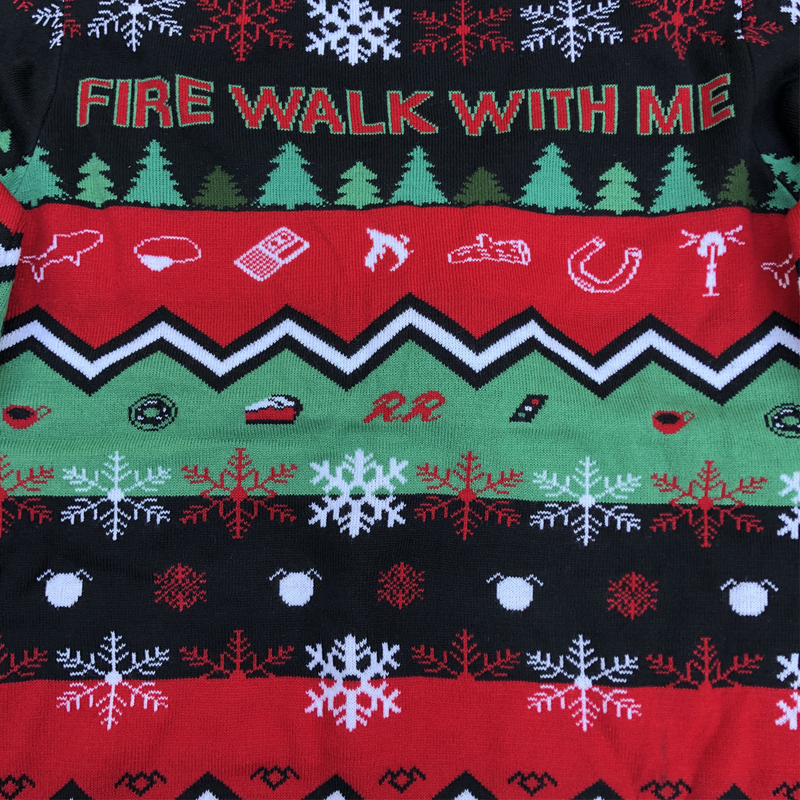 I was pleased that the back of the sweater has that little strange circular lava pit near JackRabbit's palace as the centerpiece icon, which i hadn't seen in the item photos before my purchase. It was delivered very quickly and I got it in less than a week, in time for the holiday.  As a huge Twin Peaks fan I am very pleased with the item, though of course you pay a little extra because of the special cult nature of the product. I bought this for my husband as a gift. He loves it! The sweater feels soft, is very well made, and true to size. The colors are vibrant. 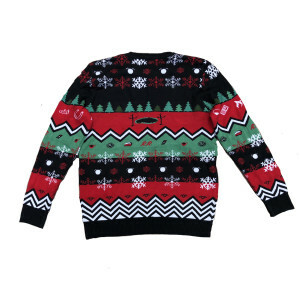 It is just the right amount of "ugly sweater" and will be the first choice for parties and family dinners this season.